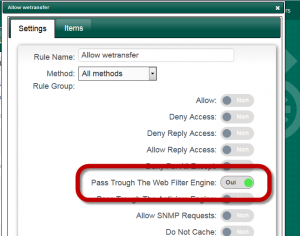 When using the webfiltering depends of the category blacklisted but you could have a ton of websites blocked. 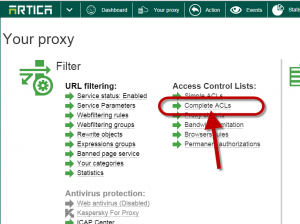 This article shows you how to allow some Active Directory users to surf on a small websites list. 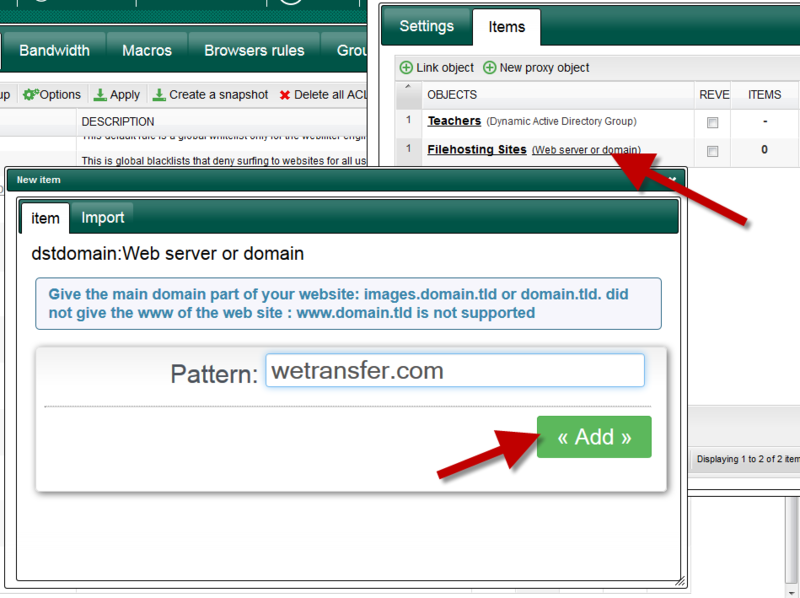 In this example we have created a webfiltering rule that block filehosting but we want to allow www.wetransfer.com for a specific group. 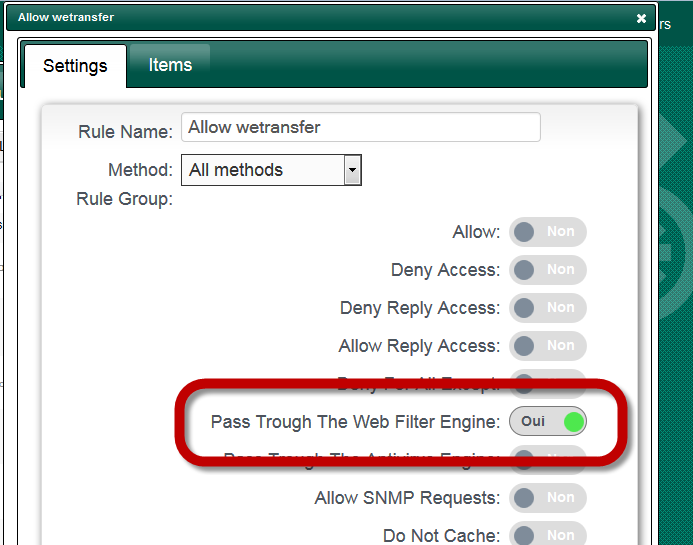 To perform this rule, wee need to create 2 proxys objects. 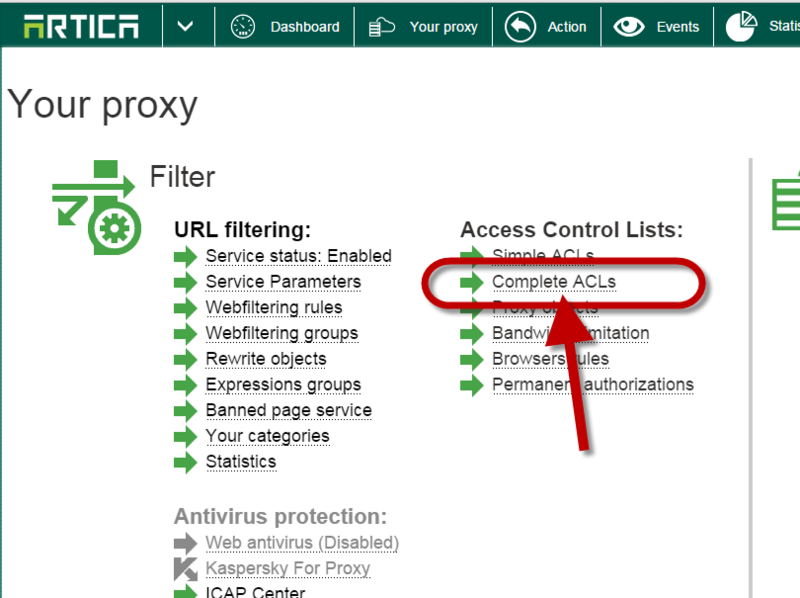 On the top menu, choose “Your Proxy” and click on “Complete ACLs” link. 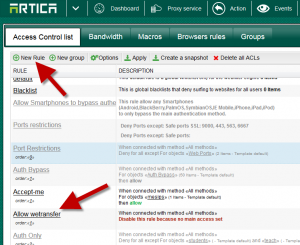 Close the browse screen and click on Add button. 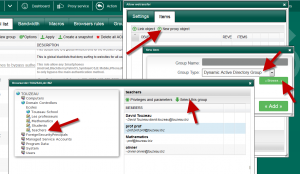 Click on the group link and add the desired website. 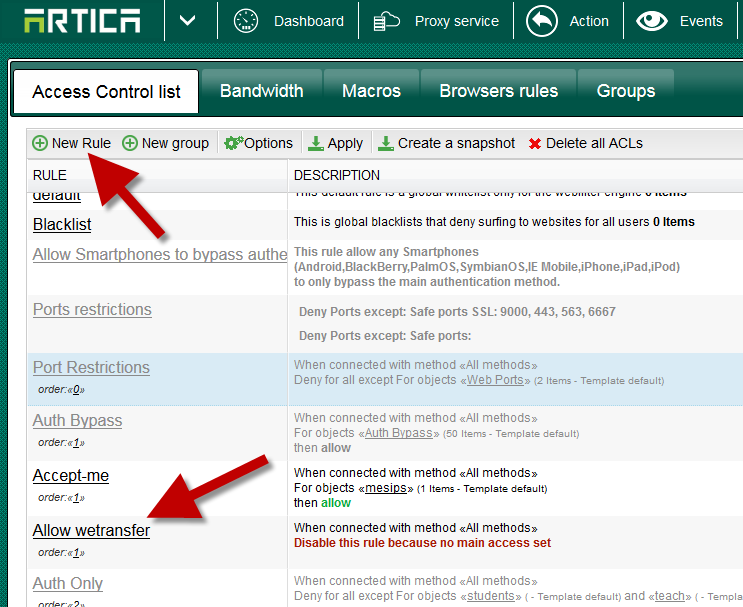 Click on “Compile button” to make the rule in production mode.